There’s nothing like a success story, and Lisa Maxbauer Price has been covering people’s tales of triumph her entire career. Trained in ghostwriting by Guideposts magazine, her creative non-fiction and real-life profiles dealing with people’s health transformations are currently read by more than 4 million readers every three weeks. 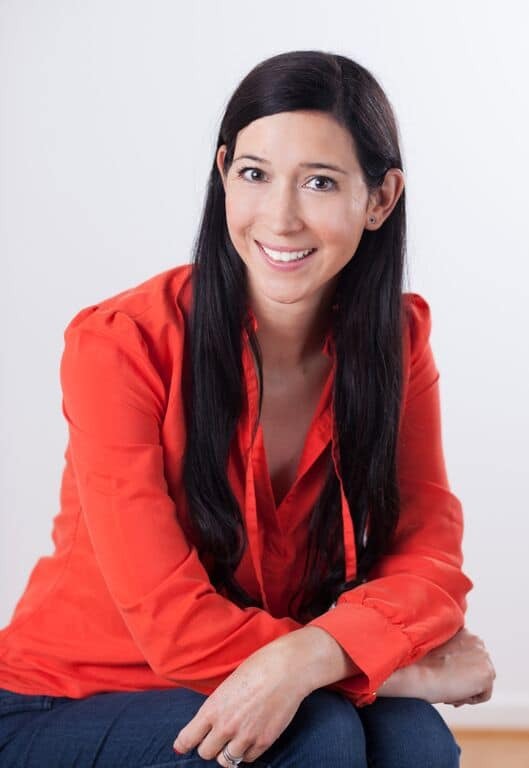 She has also written for The New York Times Motherlode blog. After 10 years in New York City, this fifth-generation Traverse City native returned to Northern Michigan where she continues to write full time for national publications as contributor at First for Women and Simple Grace magazines. Locally, she edits the essays featured in Grand Traverse Woman magazine. Her first children’s book—Squash Boom Beet: An Alphabet for Healthy, Adventurous Eaters—is out January 2016. Maxbauer Price lives on Old Mission Peninsula with her Boston-born husband and three sons. She enjoys collecting antiques, researching genealogy and seeing movies at the State Theatre. I remember winning an essay contest in eighth grade—it was about how to save the environment. Sometimes just being told you’re good at something is enough to launch you down a particular path. My first paying job in the industry was working as the women’s news editor at The University of Notre Dame newspaper. One week after college graduation, I moved to New York City without a concrete plan. I got my foot in the door at the trade publication Physician’s Weekly. During that time, I sold my first freelance articles to Guideposts. So my career really began with this unique mix of health news and storytelling. I took that blend to First for Women at Bauer Publishing, where I’ve been mentored by some of the best women in the field now for the past decade. My work space is a bit of a running joke in my house. I have a perfectly sufficient office in the basement with an antique desk that once sat in City Hall. But I like to write near a lot of windows so I often park my laptop at the island countertop in my kitchen to interview sources over the phone. I’m disciplined—I write every day and tend to be fairly productive late at night. Whenever I start a story, my initial approach is to sort of “vomit” everything onto the screen that fits into my story arc. Then on the second pass, I more carefully curate quotes and polish language. Whenever I’m not sure how best to approach a scene, I take a hot shower. I come up with a lot of ideas that way. The perks along the way: Working in publishing in New York City really gave me a seat at the table. I met inspiring people and was given amazing opportunities. I’ve played a little tennis with Billie Jean King at a US Open event to raise awareness about women’s health. I’ve interviewed celebrities and attended press conferences at the United Nations and National Presidential Conventions. I’ll be on assignment in Hawaii this month, so that’s not too bad either. José Saramago is a favorite. John Irving. And since my focus is often non-fiction, I adore Glennon Doyle Melton, author of Carry On, Warrior. She has an uncanny gift for connecting with her audience. I struggled to learn to read as a child. But once I got it, I loved Beverly Cleary. By junior high I was inspired by Olive Ann Burns and Chaim Potok. Middlesex by Jeffrey Eugenides is one of the best books I’ve ever read. And I admire Laura Hillenbrand’s approach to research and attention to detail. Too many! I receive advance press copies of everything. I enjoyed The Immortal Life of Henrietta Lacks by Rebecca Skloot. I read it for an alumnae book club project through my alma mater, Saint Mary’s College in Notre Dame, Indiana. Next, I’m reading All the Light We Cannot See for my local book club. I loved Dr. Seuss, especially The Lorax. My favorite picture book to give as a gift is The Day the Babies Crawled Away by Peggy Rathmann. I appreciate how musicians can play for bands, but also have side projects. 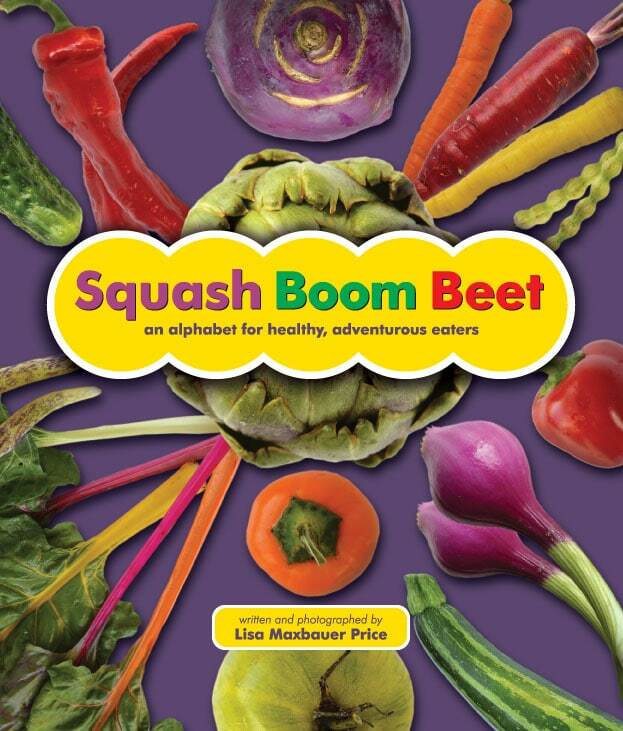 So in addition to my magazine writing, this winter I’m publishing my first children’s book, Squash Boom Beet. It celebrates vegetables by showcasing their vivid colors and textures. I want my kids, and children everywhere, to view healthy eating like an exciting, adventurous activity. So the book introduces fun foods like dragon tongue beans, fairy tale eggplant, carnival squash and green tiger zucchini. I wrote and photographed the whole thing. I’m so proud to be featuring food grown at 30 local farms, but my hope for the book is to inspire families to seek out the exciting foods grown in their own area. Grit is often more valuable than raw talent. There’s a lot of rejection and scrutiny in this business. The writers who make it are the ones who keep finding ways to jumpstart their vehicle and move forward. Also, it’s an amazing time in history to be a creative person. You no longer have to personally know an expert to be mentored by them. My advice is to find writers that inspire you and follow them on Instagram or Twitter, or listen to their podcasts or TED Talks. You can glean so much insider wisdom about the habits of successful writers these days voyeuristically.